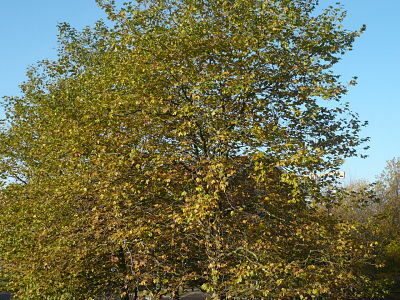 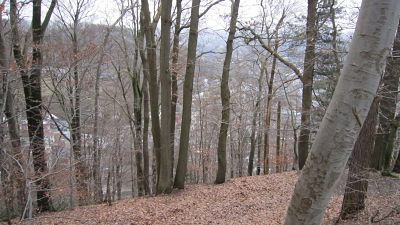 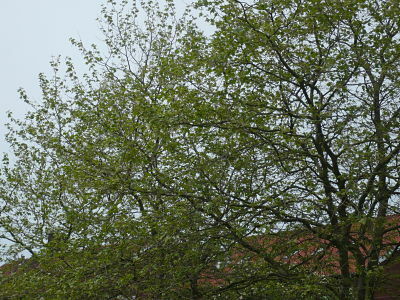 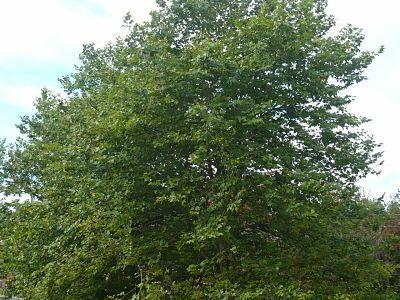 Just for record: An annual cycle of leaves as seen from my apartment – early January, early April, mid-July and 31 October 2010. 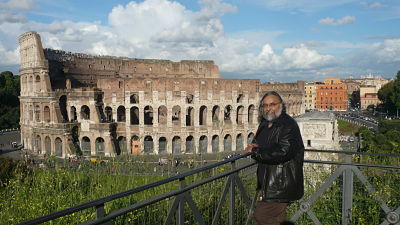 Living In Old Age-2: When Did I become Old? 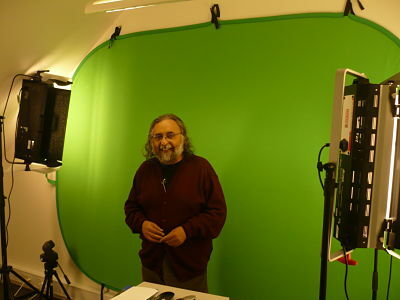 see some of my videos by going to my video page by clicking here…. 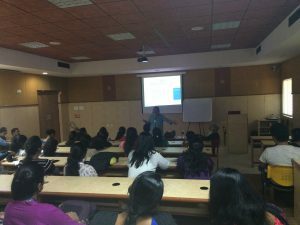 11th annual welcome lecture to new starting students at molecular biology/biotechnology/molecular medicine, AU, 26 August 2016. 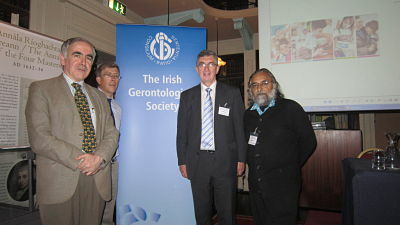 8th Congress of IAGG-ER, Dublin, Ireland, 23-26 April 2015. 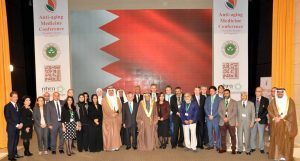 Department of Food Science and Nutrition, Sultan Qaboos University, Oman; 10 December 2014. 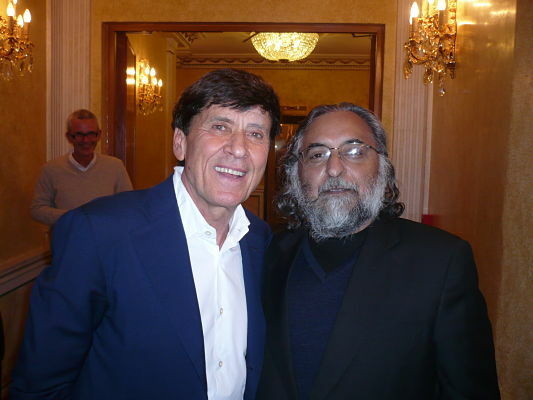 11th Anti-aging Medicine World Congress, Monte Carlo, Monaco, 4-6 April 2013. 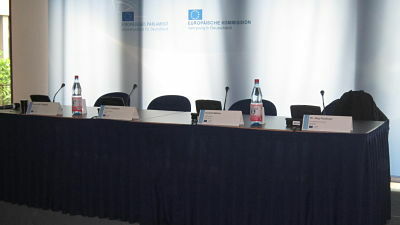 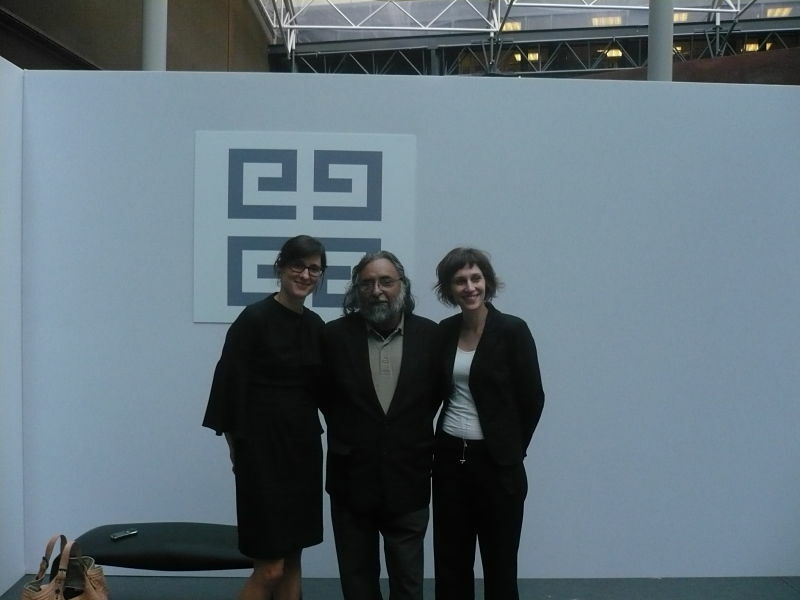 Hormesis, health and longevity – inaugural meeting of EU-COST action on Reactive Oxygen Species; Brussels, Belgium 5-6 December 2012. 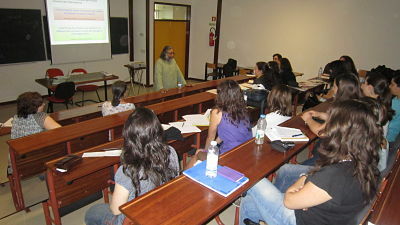 Conveying science and values through fiction”, at Workshop on SciLiterature: Narrativizing Science; University of Ferrara, Italy, 21-22 September 2012. 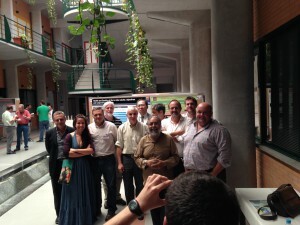 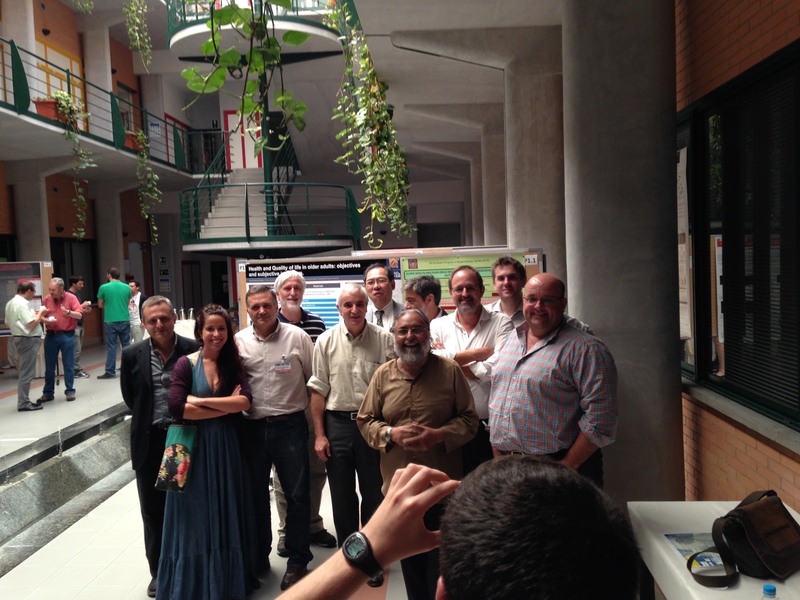 Ageing from molecules to hormesis, Universidad Pablo de Olavide, Sevilla, Spain, 18 May 2012. 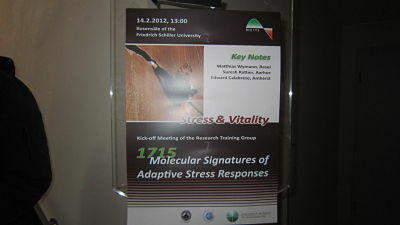 RESOLVE symposium on “Tissue remodelling in aging and disease”, Vienna, Austria, 27-30 March 2012. 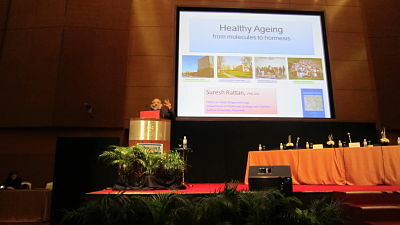 Biology of healthy ageing, Allianz Medical University, Kepala Batas, Penang, Malaysia, 23 March 2012. 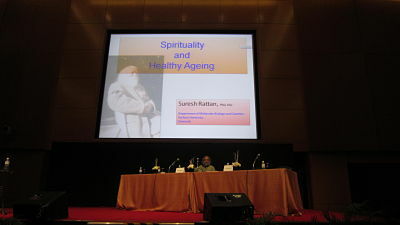 1st World Congress on Healthy Ageing, Kuala Lumpur, Malaysia, 19-22 March 2012 (3 lectures: Biology of Healthy Ageing; Spirituality and Healthy Ageing; and Workshop on Health and Ageing). 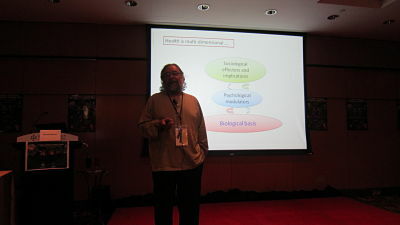 The Logic and philosophy of ageing interventions, Invida Lecture Tour, Kuala Lumpur Malyasia (30 September), Taipei Taiwan (1 October), Kaohsiung Taiwan (2 October), Singapore (4 October 2011). 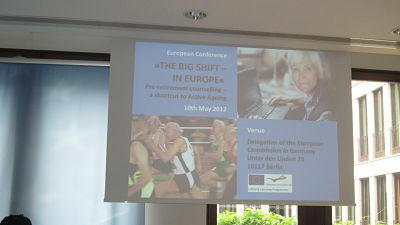 International Conference on health, disease and ageing, Halle (Salle), Germany,15-18 September 2011. 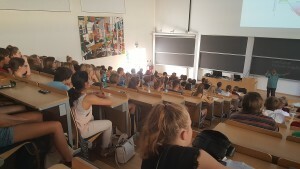 7th Welcome lecture to new students, Aarhus University, August 19, 2011. 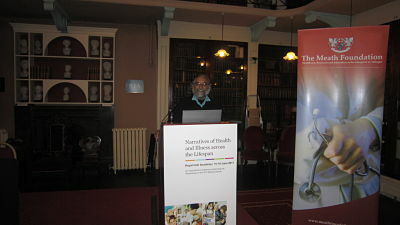 Conference on Medical Humanities and the Narrative of Lifespan and Ageing, Dublin, Ireland, 15-16 June 2011. 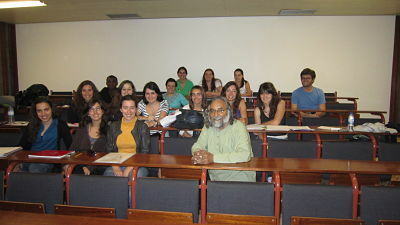 Post-graduate course on Molecular Nutrition, University of Minho, Braga, Portugal, May 31 to June 4, 2011. 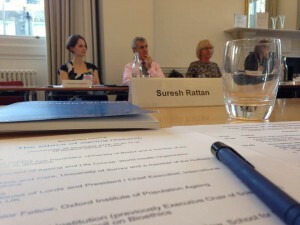 The Ditchley Foundation, The impact of ageing on developed economies, 12-14 May, 2011. 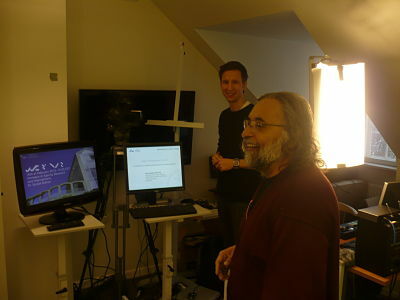 Lecture at the Nutritional Immunology Lab, Tufts University, Boston, USA, 28 April, 2011. 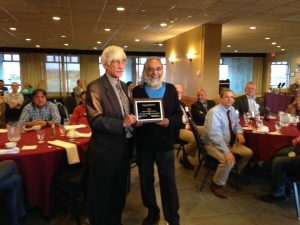 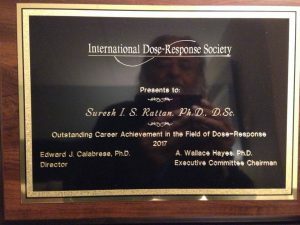 10th Annual International Conference of the Dose Response Society, University of Massachusetts, Amherst, USA, 26-27 April, 2011. 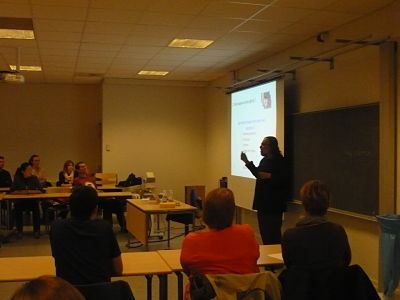 2nd International Symposium of the Belgian Union of Orthodontist Societies (BUOS), Spa, Belgium, 24-26 February, 2011. 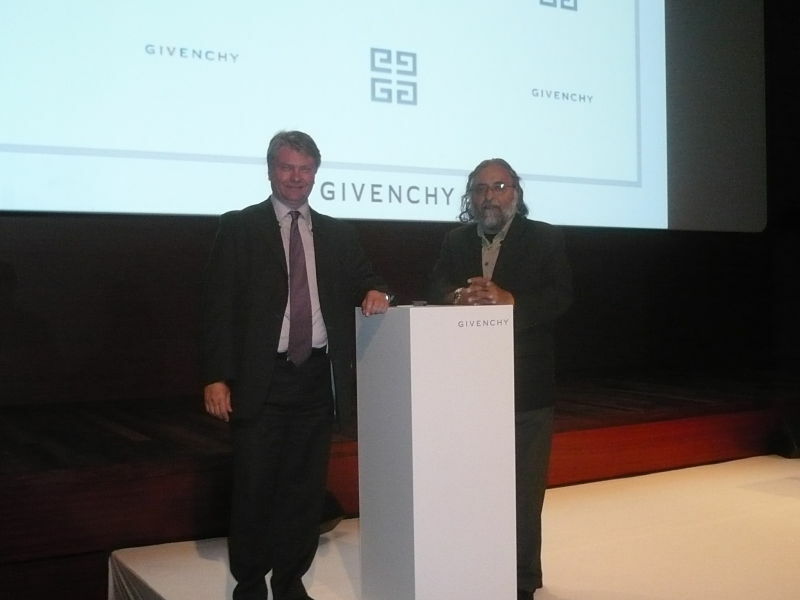 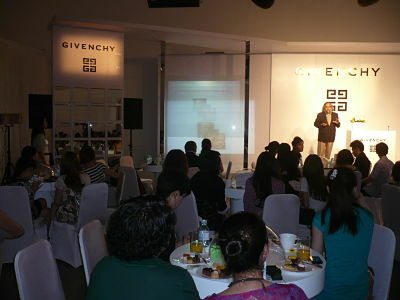 Hormesis and ageing, Givenchy launch event, Dubai, 1 February, 2011. 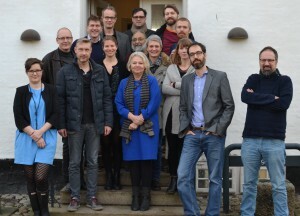 TIFN Food Summit Meeting, Noordwijkerhout, The Netherlands, 08-10 December 2010. 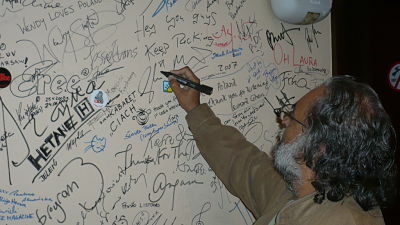 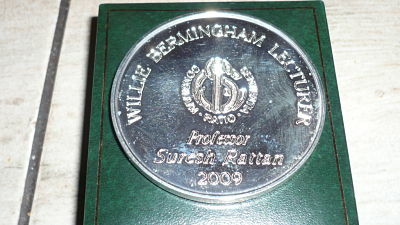 Department of Biotechnology, IIT Roorkee, India, 10 November, 2010. 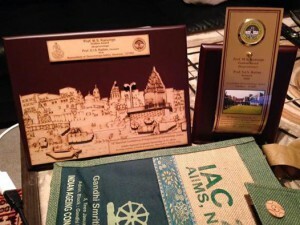 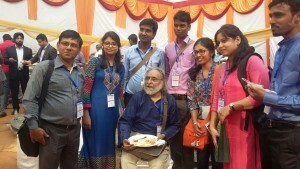 Indian Aging Congress, BHU, Varanasi, India, 12-14 November 2010. 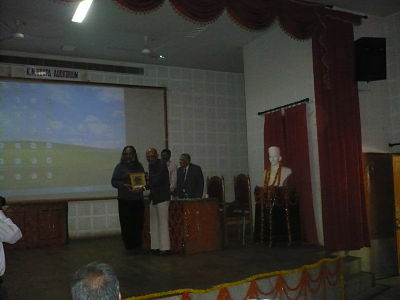 Allahabad University, Allahabad, India, 15 November, 2010. 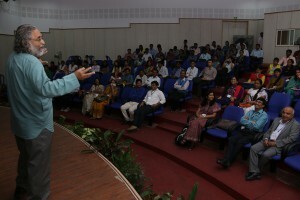 Central Drug Research Institute (CDRI), Lucknow, India, 19 November, 2010. 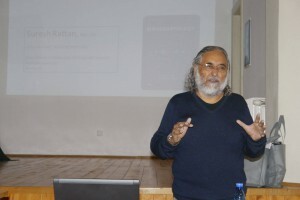 NIPER, Mohali, India, 22 November 2010. 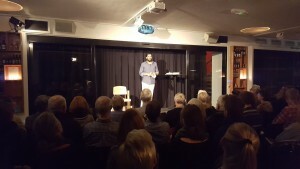 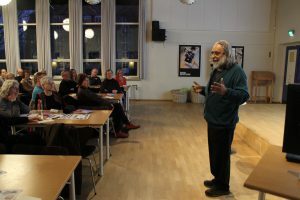 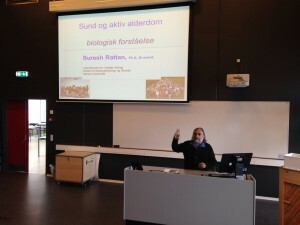 A general public lecture at Folkeuniversitet, Herning, Denmark, 26 October, 2010. 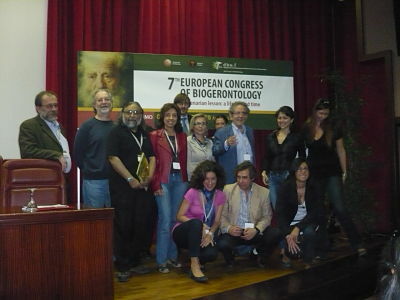 Hormesis, ageing and anti-ageig,European Congress of Biogerontology, Palermo, Italy, October 16, 2010. 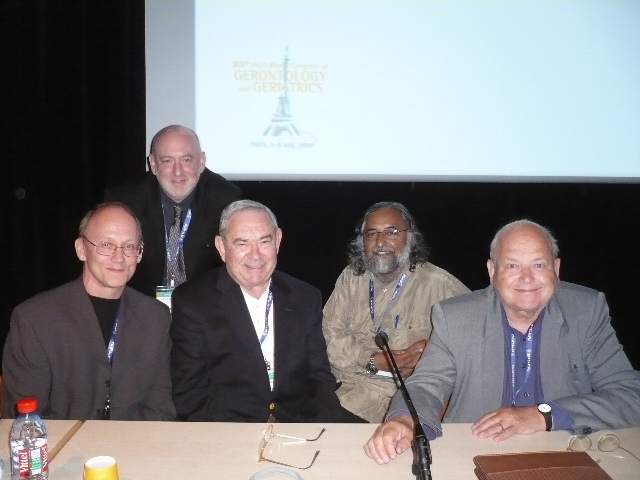 Theories of ageing, European Course in Anti-Aging Medicine (ECAAM) Paris, France, October 13, 2010. 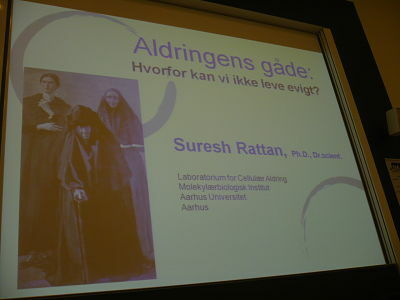 Secrets of healthy ageing and longevity, a general public lecture at Folkeuniversitet, Aarhus, Denmark 23 September, 2010. 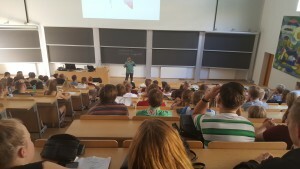 Annual welcome lecture on ageing to the new students in biology, molecular biology, molecular medicine at Aarhus University, 20 August 2010. 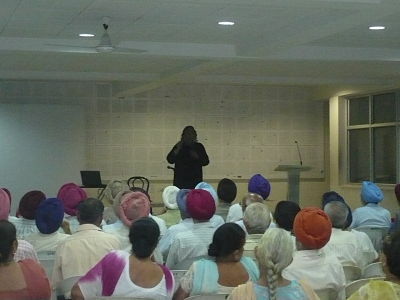 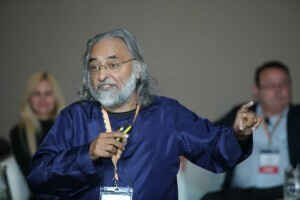 Scientific secrets of healthy old age: at Senior Citizen’s Association, Mohali, India, 17 July, 2010. 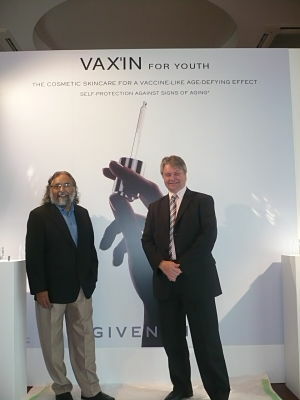 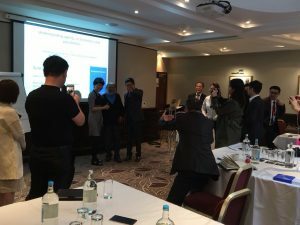 Hormesis and Hormetins for Healthy Skin – lectures to fashion-, beauty-, and health-magazine editors and journalists for LVMH-Givenchy International VAXIN Launch – Tokyo Japan 5-6 July; Beijing China 7-8 July, 2010. 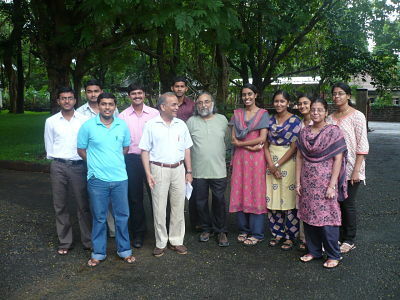 Teaching about the science of healthy ageing, in the PhD summer school, at Manipal University, Karnataka, India, June 23-24, 2010. 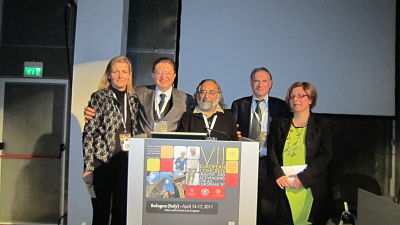 The hormetic science of healthy ageing, 31st meeting of the Italian Society for Aesthetic Medicine (SIME), Rome, Italy, May 7, 2010. 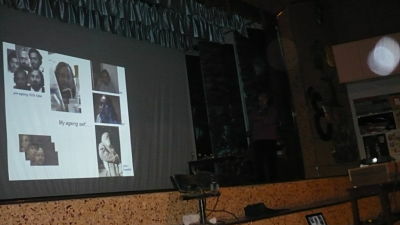 Hormesis and hormetins for healthy ageing and longevity, 2nd COSMINNOV Conference of Cosmetic Societies, Orleans, France, March 30-31, 2010. 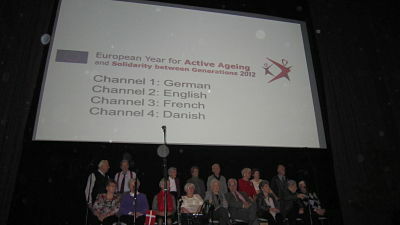 WhyWeAge workshop on Sarcopenia, Muscle Weakness and Physical Exercise, Brussels, Belgium, March 22-23, 2010. 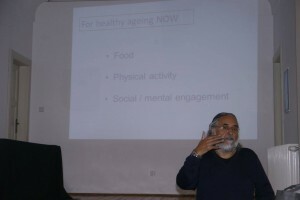 Nutrition, hormetins and healthy ageing,Science in Nutrition, Rome, Italy, March 5, 2010. 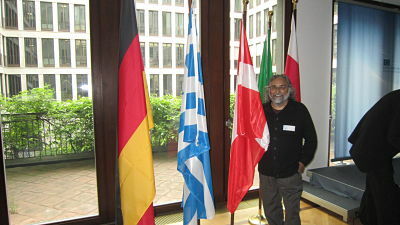 WhyWeAge workshop on Biomarkers of Ageing and Longevity, Athens, Greece, February 26-28, 2010. 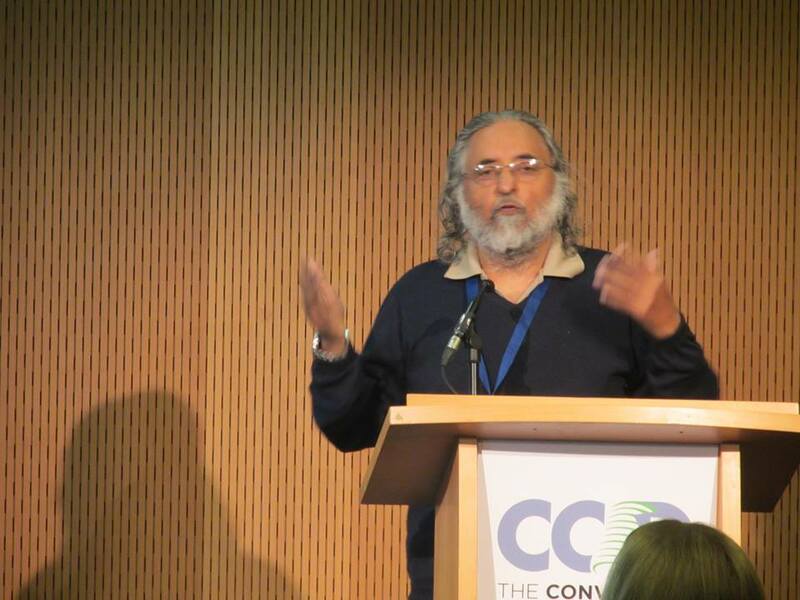 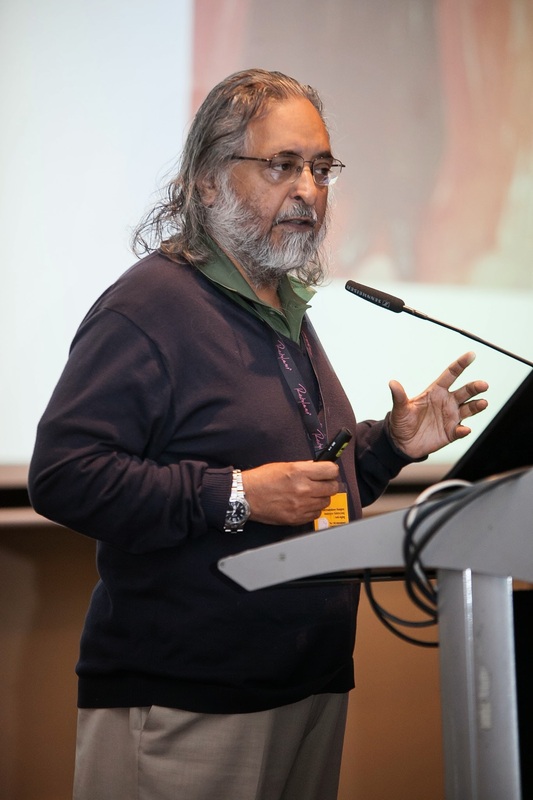 Chairing the session on Genetics and Bioinformatics, LINKAGE Conference on ageing, Brussels, Belgium, 30 November 2009. 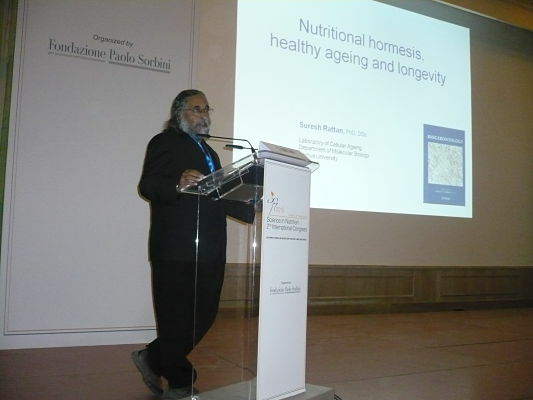 Hormesis for healthy ageing and longevity – “Donne Senza Pausa”, conference on women’s health and longevity, Milan, Italy, 13 November, 2009. 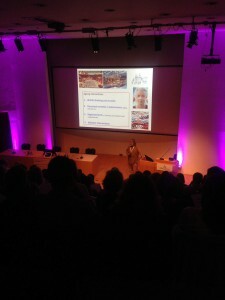 The science of ageing, anti-ageing and healthy ageing. 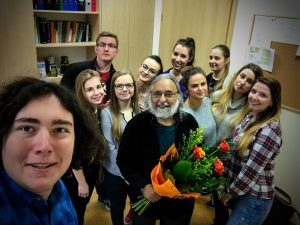 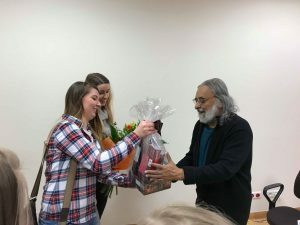 St.Petersburg Institute of Bioregulation and Gerontology, St. Petersburg, Russia, November 2, 2009. 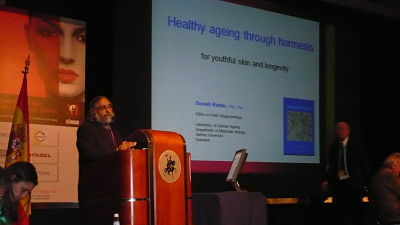 Practical applications of hormesis in the prevention and treatment of aging – 5th European Masters in Aesthetics andAnti-aging Medicine (EMAA), Paris, France, 3 October, 2009. 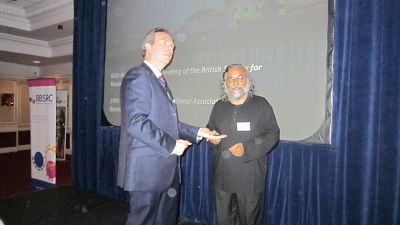 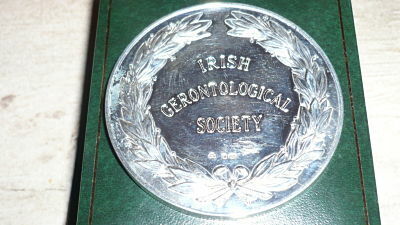 Biological basis of ageing and healthy ageing – Willie Bermingham Memorial Lecture and Medal, Irish Gerontological Society Meeting, Belfast, 25 September 2009. 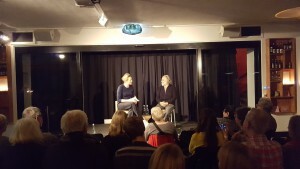 Ageing and the origin of the book “Where’s Baba Gone?” – on publication of my book in Polish, Warsaw Science Festival, Nencki Institute, Warsaw, Poland, and Radio-talk show on Polish Radio-3, 23 September 2009. 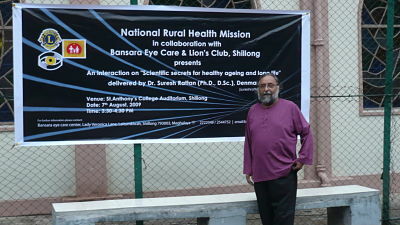 Scientific secrets of healthy ageing and longevity – a public lecture arranged by the Lions Club and Bansara Eye Centre, Shillong, India, 7 August 2009. 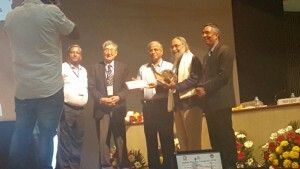 Ageing – from molecules to hormesis, North Eastern Hill University, NEHU, Shillong, India, 6 August 2009. 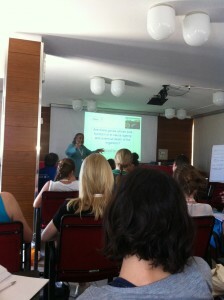 Priniciples of ageing, anti-ageing, and healthy ageing, ACUME2, PhD Summer School – Interfacing Sciences and Humanities, Rimini, Italy, 3 July 2009. 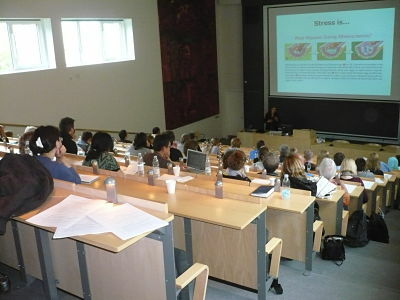 Body’s survival instinct, homeodynamic space, and ageing., Department of English, and Department of Molecular Endocrinology, Body Works – ACUME2 Conference, Odense, DK, 30.5.2009. 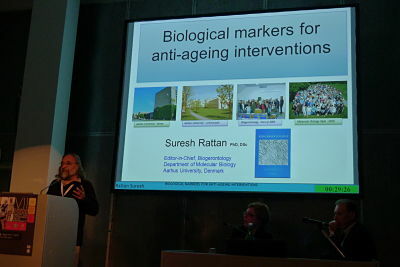 Aging intervention and prevention through hormesis: targeting the occurrence, removal and accumulation of molecular damage., University of Laval, 13th Congress of the International Association of Biomedical Gerontology (IABG), Quebec, Canada, 18.5.2009. Understanding ageing: from molecular biology to hormesis, Department of Molecular Endocrinology, SDU, Odense, DK, 4.5.2009. 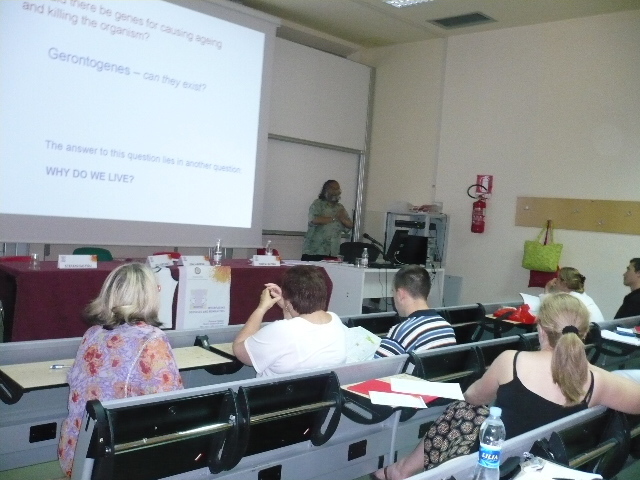 Understanding ageing: from molecular biology to hormesis, University of Palermo, Medical School, Italy, 8.4.2009. 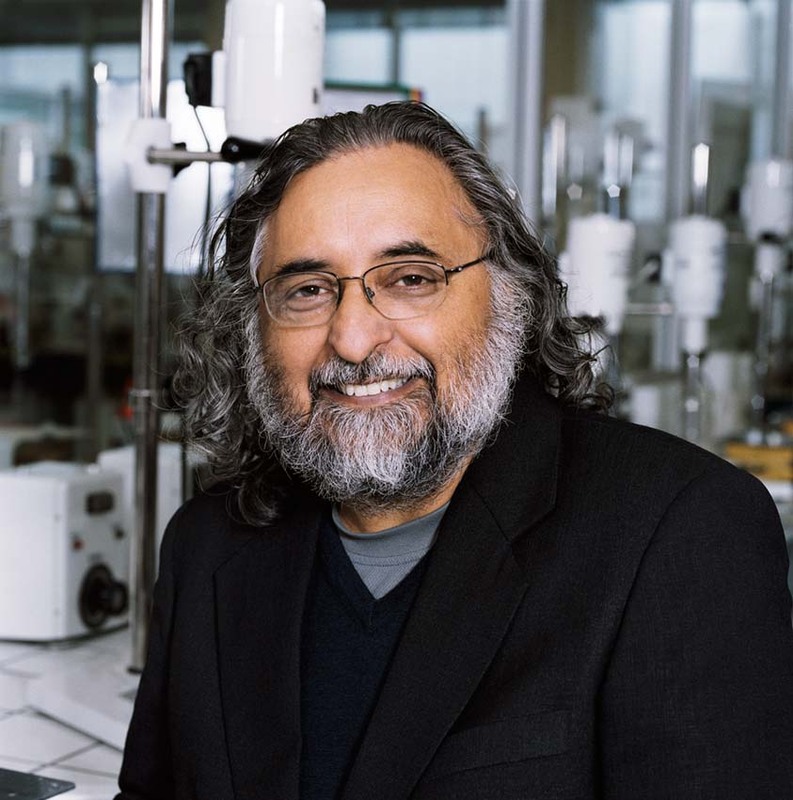 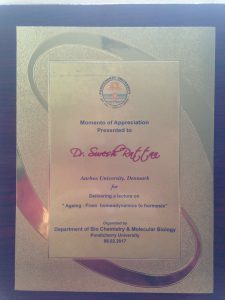 Ageing – from molecular biology to hormesis, Department of Biochemistry, Chandigarh, India, 5.1.2009. 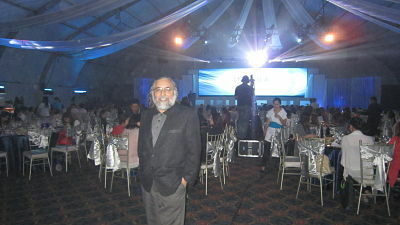 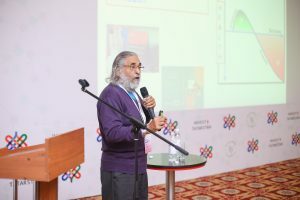 Scientific aptitude and healthy ageing., SarangLok, Mohali, India, 4.1.2009. 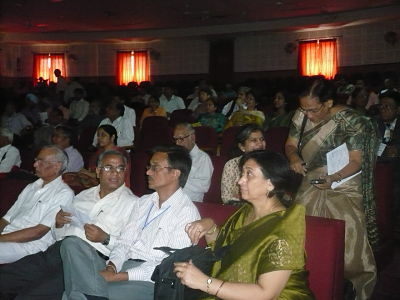 Biogerontology, Association of Gerontology (India), International Symposium and Conference of Gerontology and Geriatrics, Tirupati, India, 17.12.2008. 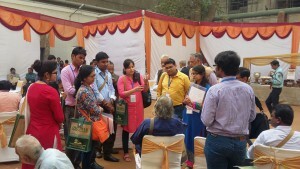 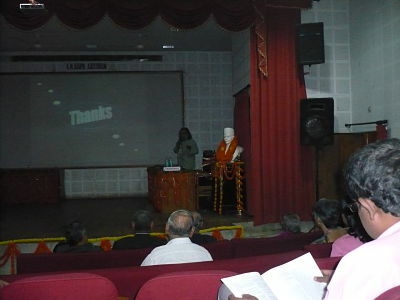 Biology of ageing, anti-ageing, and healthy ageing., Association of Gerontology (India), International Symposium and Conference of Gerontology and Geriatrics, Tirupati, India, 16.12.2008. 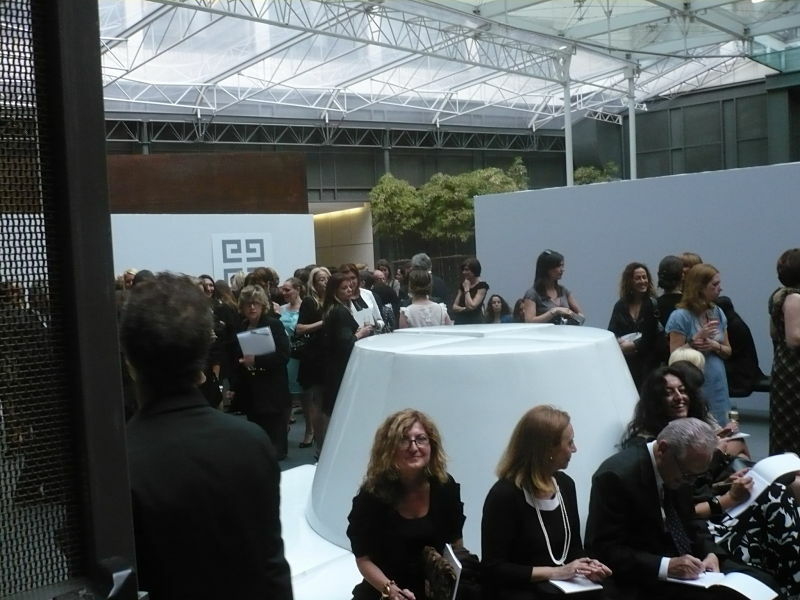 Aging intervention and prevention through hormesis., French Society of Cosmetology, Actualites et futur la peau et son vieillissement, Paris, France, 3.12.2008. 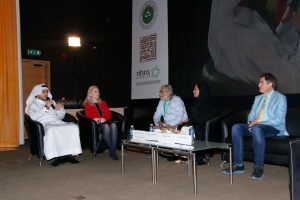 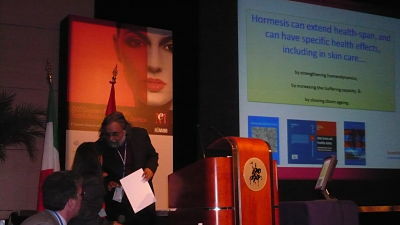 Hormesis: a powerful approach in anti-aging medicine., ICAAM and World Society of Anti-aging Medicine, International Congress in Aesthetic, Anti-aging Medicine and Medical Spa, Dubai, 29.11.2008. 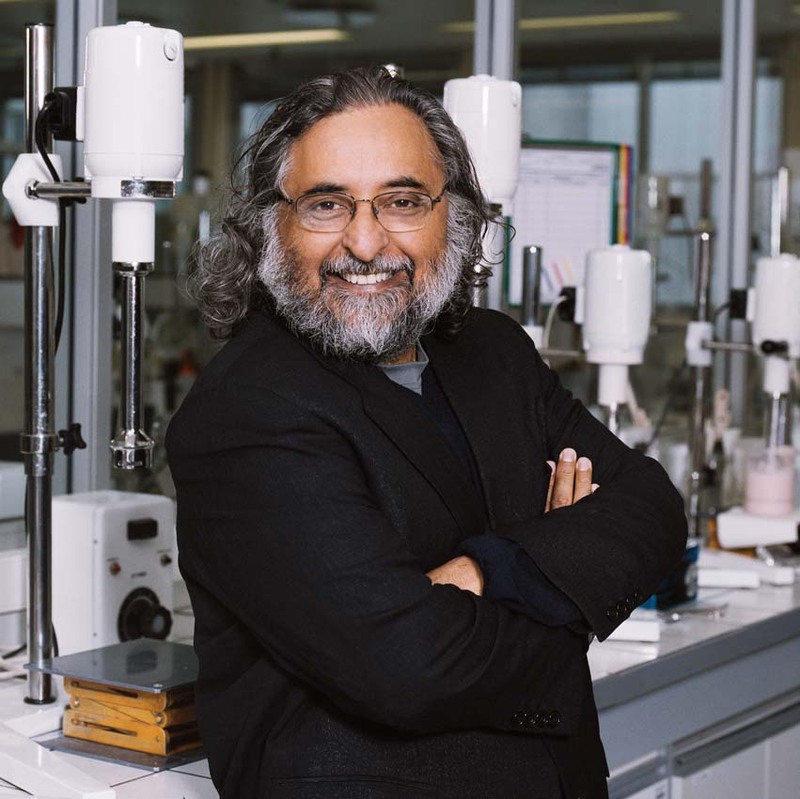 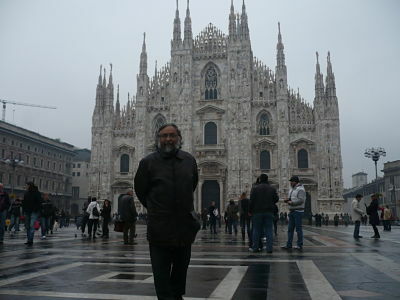 Practical scientific approaches for healthy ageing and longevity., Aesthetic Medicine Society, 10th International Congress of Aesthetic Medicine., Milan, Italy, 9.10.2008. 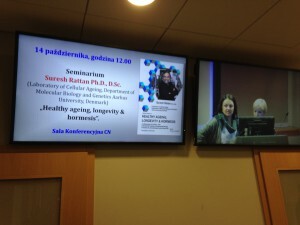 Ageing intervention, prevention and therapy., Nencki Institute, Warsaw, Poland, 23.9.2008. 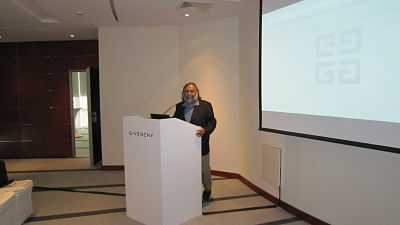 Science of aging and anti-aging., Department of Aesthetic Surgery, Singapore, 14.7.2008. 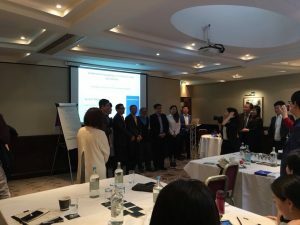 Asian Anti-aging and Scar Management Expert Forum, Scientific advances in anti-aging medicine., Inovail, Singapore, 12.7.2008. 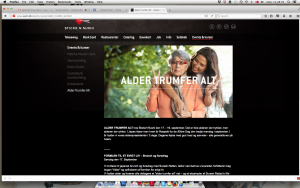 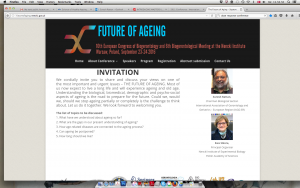 Aging: from molecular biology to hormesis, Estee Lauder, Melville, New York, USA, 2.5.2008. 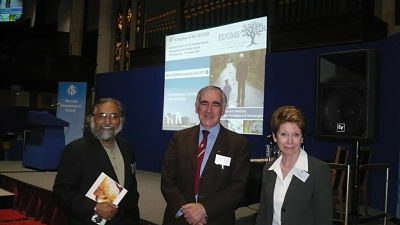 Toxicology, International Dose Response Society, 7th Annual International Conference: Dose Response 2008, University of Amherst, Massachussets, USA, 30.4.2008. 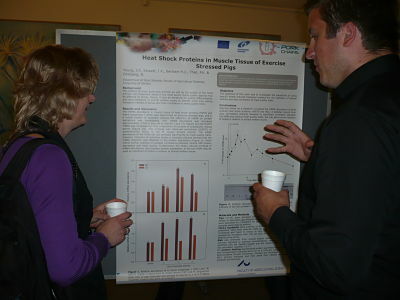 Mild heat stress slows down aging, increases wound healing, and enhances angiogenesis in human cells., International Dose Response Society, 7th Annual International Conference: Dose Response 2008., University of Amherst, Massachussets, USA, 29.4.2008. 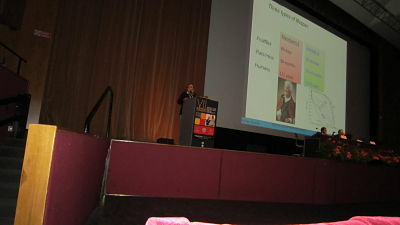 The science of healthy ageing: principles, practice, and problems., AGORA – Society of Medicine and Aesthetics, 3rd International Congress of Preventive and Healthy Aging., Milano, Italy, 8.3.2008. 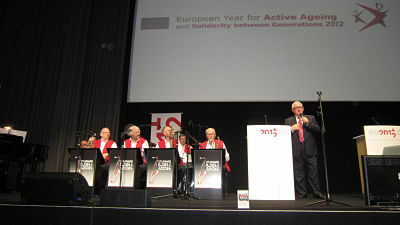 Life style for a real well ageing and healthy ageing, AGORA – Society of Medicine and Aesthetics, 3rd International Congress of Preventive Medicine and Healthy Aging, Milano, Italy, 8.3.2008. 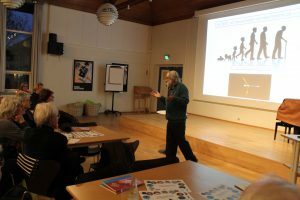 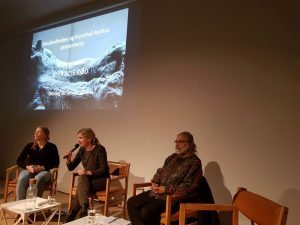 The mystery of ageing: why can’t we live for ever?, Faculty of Natural Sciences, and Folkeuniversitet, Gåder og hemmeligheder – a series of public lectures in Spring semester 2008, Aarhus, DK, 12.2.2008. 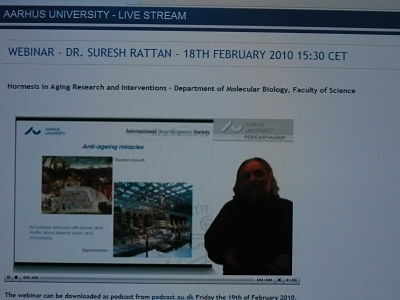 Natural ways of slowing down aging., AIST (Japan) and DBT (India), International AIST symposium on understanding and manipulating stress, aging and cancer., Tsukuba, Japan, 22.1.2008. 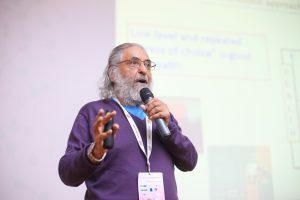 From understanding ageing to achieving healthy old age., The Indian Science Congress Association, 95th Indian National Science Congress, Vishakhapatnam, India, 4.1.2008. 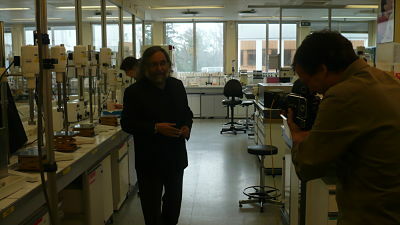 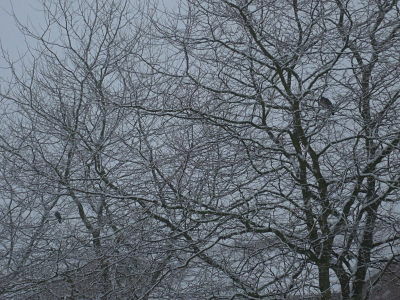 Origin of mechanisms of ageing and longevity., University of Warwick, ACUME-2 project on Origins, Coventry, GB, 10.12.2007. 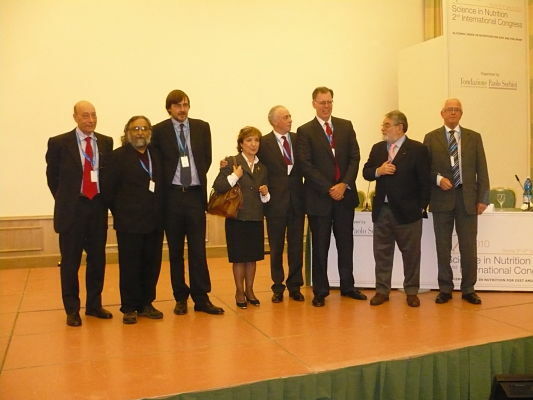 From damage accumulation to hormetic prevention during aging., LINKAGE and IBMC Porto, 2007 Linkage meeting: The Free Radical Theory of Ageing, Porto, PT, 29.11.2007. 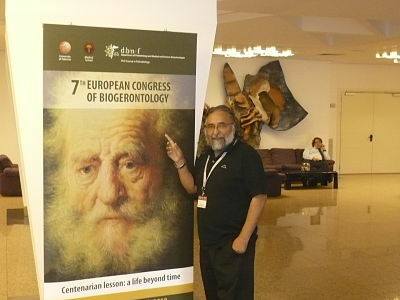 Biology of ageing and the principles of anti-ageing, Centro Studi Alvise Cornaro, International Conference on Technology and Ageing, Padua, IT, 26.10.2007. 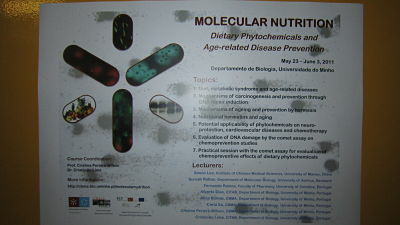 Hormetic prevention of molecular damage during cellular ageing., Geritaric Department of Internal Medicine, University of Palermo, Seminars on Geriatric, Erice, IT, 23.10.2007. 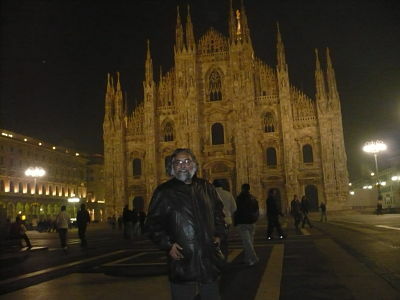 Biology of aging and the principles of anti-aging, Societa Di Medicina ad Indirizzo Estetico, 9th International Congress of Aesthetic Medicine, Milan, IT, 13.10.2007. 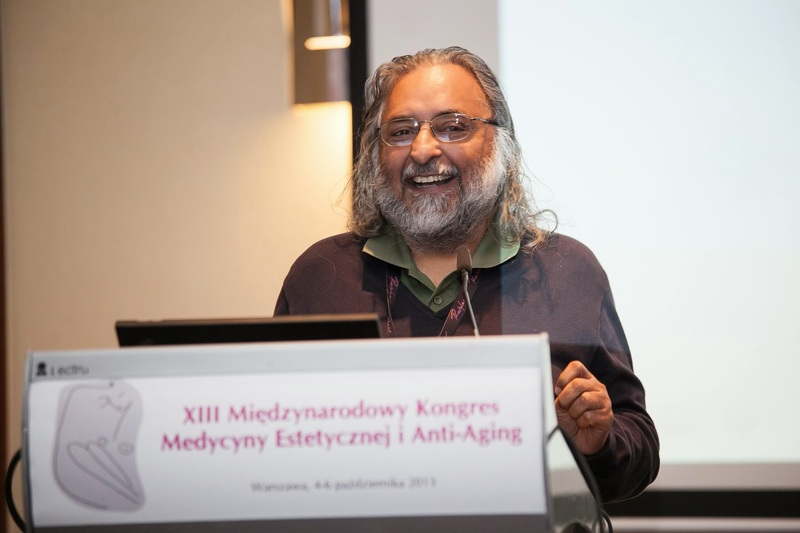 Understanding life, ageing and heathy ageing., Nencki Institute of Experimental Biology, SENECA-2007, European Conference on Cancer and Ageing, Warsaw, PL, 4.10.2007. 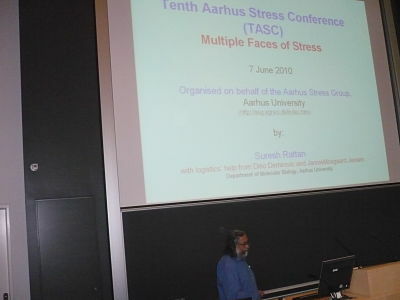 Aging intervention and prevention through mild stress-induced hormesis in human cells., Department of Cardiology; and german Society of Gerontology and Geriatrics, Tissue ageing: from molecular biology to clinical perspective, Halle, DE, 30.9.2007. 2nd World Conference of Stress., Mild stress induced hormesis and anti-aging effects on human cells., 2nd World Congress of Stress., Budapest, HU, 25.8.2007. 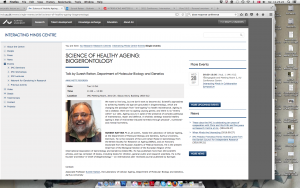 Ageing and anti-ageing: from molecular biology to hormesis., Centre for Molecular Medicine, Jawaharlal Nehru University (JNU), New Delhi, IN, 13.8.2007. The science of healthy ageing., Department of Zoology, New Delhi, IN, 10.8.2007. 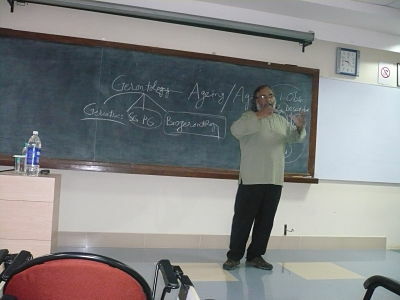 Ageing and anti-ageing: from molecular biology to hormesis., Department of Zoology, University of Bangalore, Bangalore, IN, 2.8.2007. 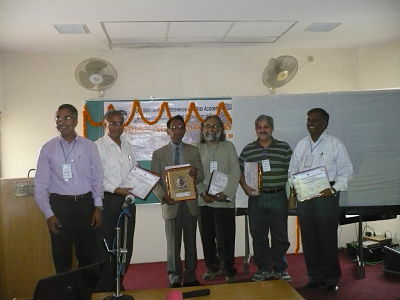 Ageing and anti-ageing: from molecular biology to hormesis., Centre for Research and Education in Ageing (CREA), University of Hyderabad, Hyderabad, IN, 1.8.2007. 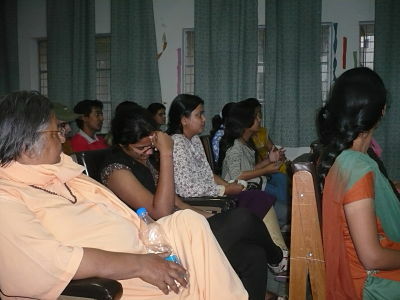 The science of healthy ageing., Reddy College for Women, Hyderabad, Hyderabad, IN, 31.7.2007. Ageing and anti-ageing: from molecular biology to hormesis., Centre for Cellular and Molecular Biology (CCMB), Hyderabad, IN, 31.7.2007. 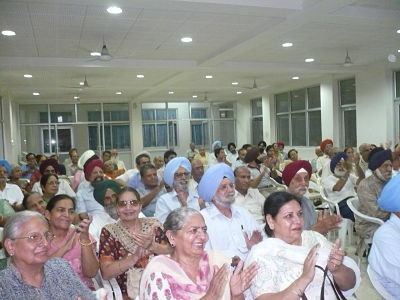 The science of healthy ageing., Rotary Club, Amritsar, IN, 21.7.2007. 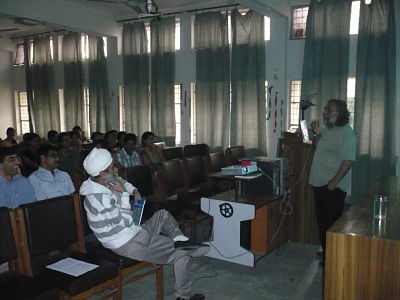 Ageing and anti-ageing: from molecular biology to hormesis., Department of Biotechnology, Amritsar, IN, 20.7.2007. 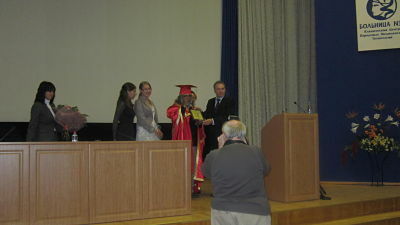 Prevention of premature senescence., 6th European Congress of the International Association of Gerontology and Geriatrics., St. Petersburg, RU, 8.7.2007. 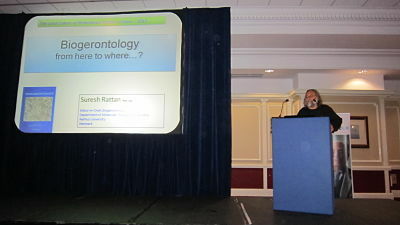 Anti-ageing and life prolonging hormetic effects of mild stress., 6th European Congress of the International Association of Gerontology and Geriatrics., St. Petersburg, RU, 8.7.2007. 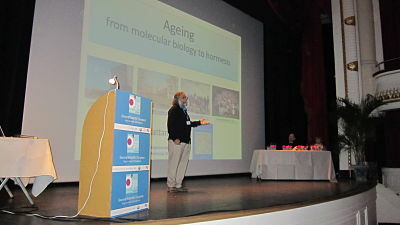 Ageing intervention, prevention and therapy through mild stress-induced hormesis in human cells., 12th Congress of the International Association of Biomedical Gerontology (IABG), Molecular mechanisms and models of ageing., Spetses, GR, 23.5.2007. 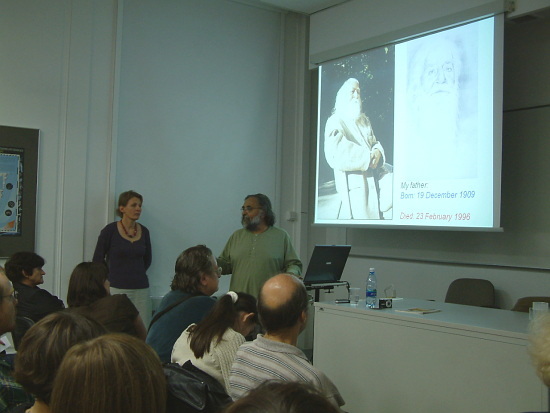 ACUME2 Conference: Interfacing sciences and humanities., ACUME2, IT, 16.3.2007. 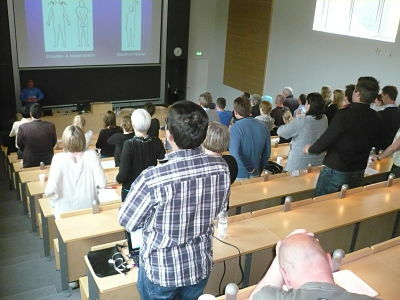 Ph.D. exam opponent, Biology of ageing., Faculty of Health Sciences, Linköping University, Linköping, SE, 2.2.2007. 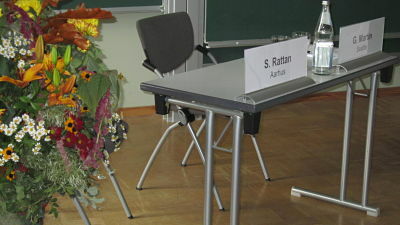 Biology of aging and anti-aging., Research Institute of Molecular Pathology, Timing Age: 4th Vienna Biocenter PhD student symposium, Vienna, AT, 2.11.2006. 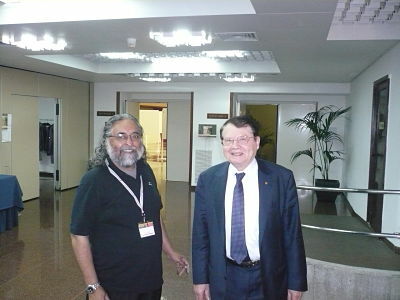 The science of healthy ageing and longevity., International Research Centre on Healthy Ageing and Longevity, 3rd International Confrence of Healthy Ageing and Longevity, AU, 15.10.2006. 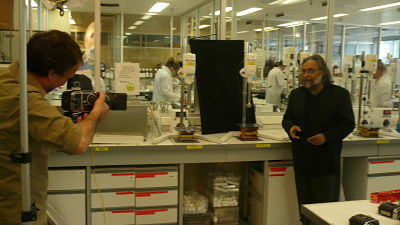 Biology of healthy ageing and longevity, Aging, anti-aging, International Research Centre on Healthy Ageing and Longevity, 3rd International Conference on Healthy Ageing and Longevity, Melbourne, AU, 13.10.2006. 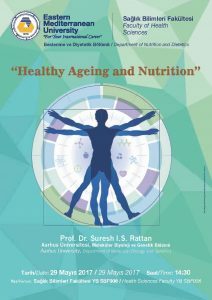 Prevention of molecular damage by hormesis during aging., 5th European Congress of Biogerontology, Istanbul, TR, 16.9.2006. 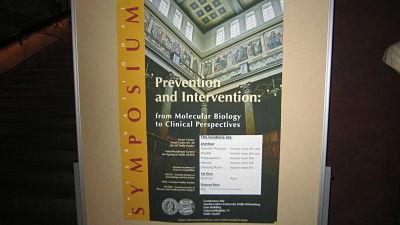 Aging intervention, prevention, and therapy through hormesis., Université Paris 5, 2nd International Conference on Molecular Research in Environmental Medicine, Paris, FR, 7.9.2006. 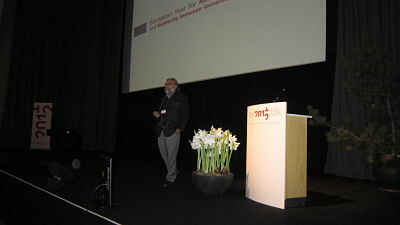 Complexity of ageing and its modulation from within., European Orthodontic Society, 82nd Congress of the European Orthodontic Society, Vienna, AT, 3.7.2006.